Keep PrideFest free for all and help us raise money for smaller pride events throughout the Northwest. $30 includes entry, bottomless drinks, and appetizers. 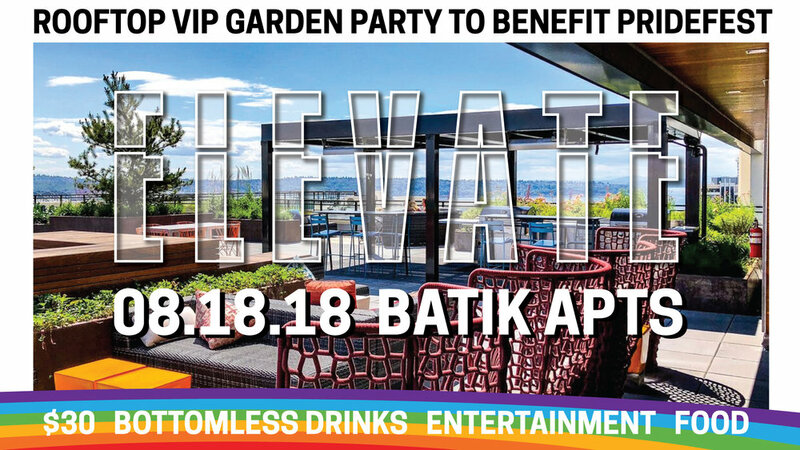 This VIP mixer is on the roof of Batik and looks out at Mount Rainier, Puget Sound, and Downtown Seattle. Featuring DJ Skiddle.